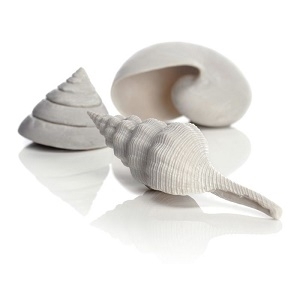 Three detailed white reproduction shells per pack. 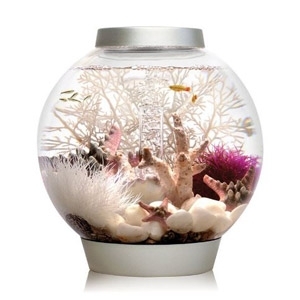 Suitable for all aquariums. Shell in foreground 13cm x 4cm. Shell in middleground 6.5cm x 5cm. 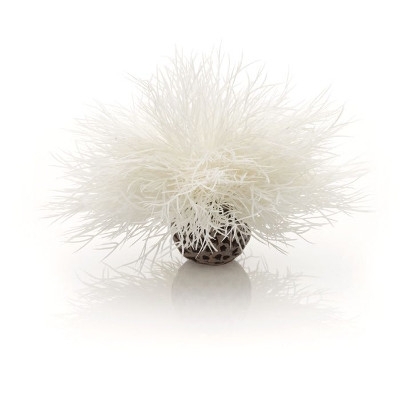 Shell in background 9.5cm x 5cm. 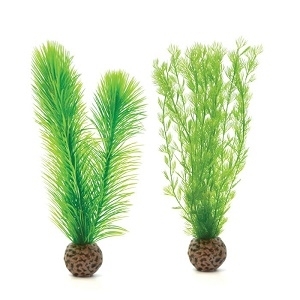 To achieve a natural looking aquarium with minimum effort, try these green feather ferns. 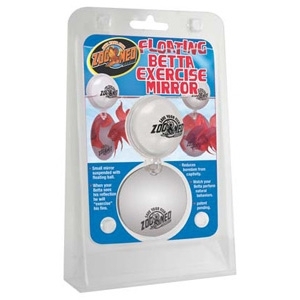 Suitable for any size of biOrb. 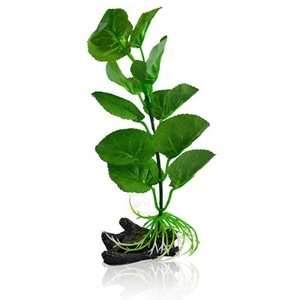 The heavy round base makes them easy to position and stops the plants from floating. 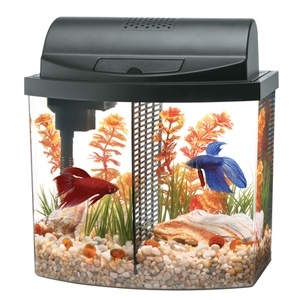 Suitable for all aquariums. Maximum height 20.5cm. 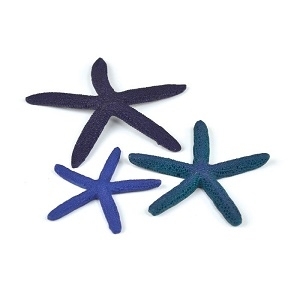 Large 12cm wide, medium 10cm wide, small 8cm wide. 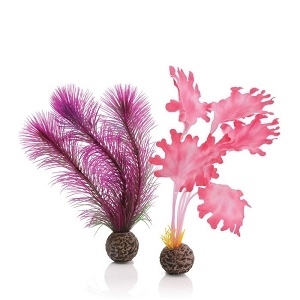 To achieve a colourful looking aquarium with minimum effort, try these colourful kelp plants. 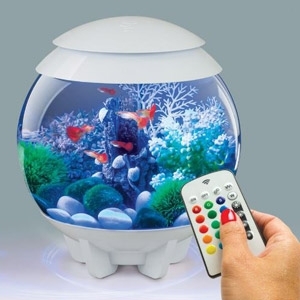 The medium size is suitable for any biOrb 30 litres or larger. 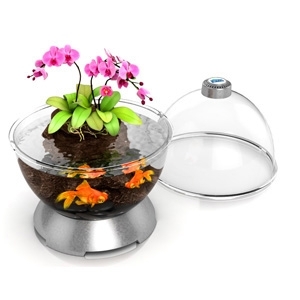 The small pack is suitable for any biOrb.The heavy round base makes them easy to position and stops the plants from floating. 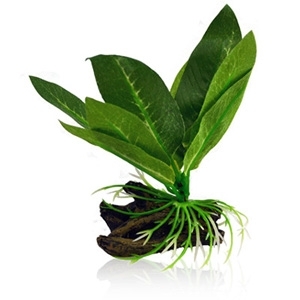 Add some color to your aquarium with these gorgeous silk plants. 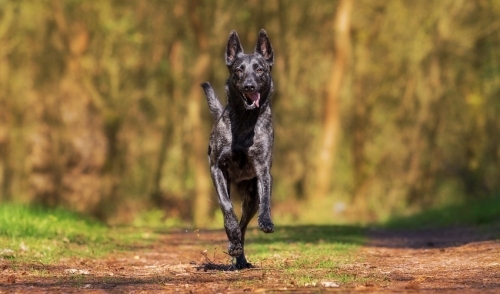 Available now at Brookline Dog Grooming. 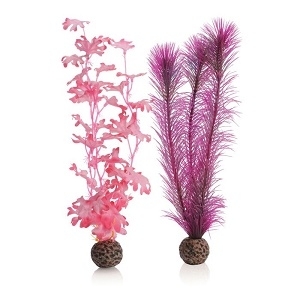 From the South China seas the Sea Lily is inspired by the delicate feather like creatures which live on the sea bed. 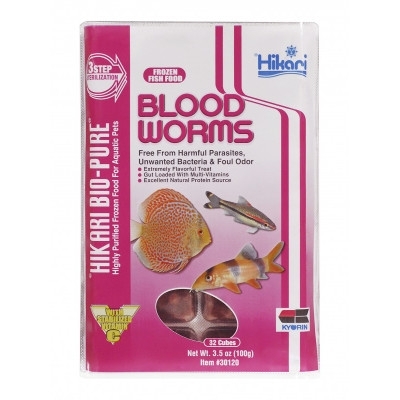 Use to create coverage at the bottom of your aquarium. 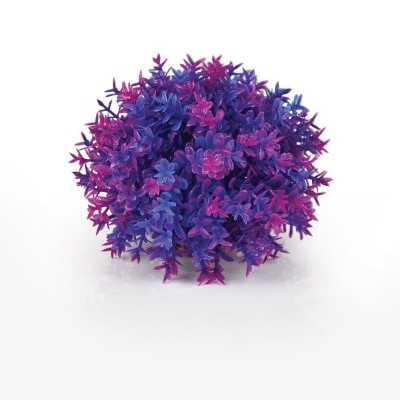 Inspired by the decorative moss phlox of Shibazakura, use to add a pop of colour to your underwater landscape. 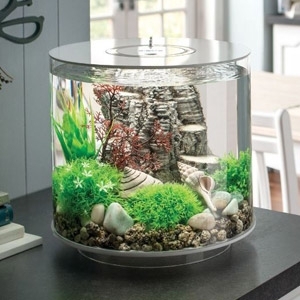 Adds interest to the base of your aquarium. 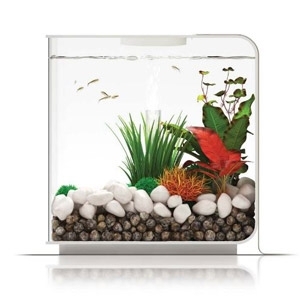 Now you can fit a beautiful aquarium into any home and decor with the Mini Bow Desktop Aquarum Kit. 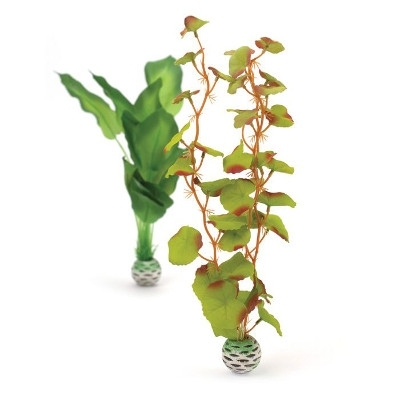 The Mini Bow 2.5 is small enough for a desk, bedside table, or countertop. 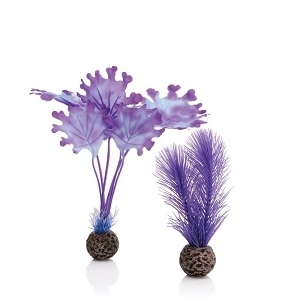 When developing the WonderBubble we wanted the ability to create new and exciting environments and habitats. 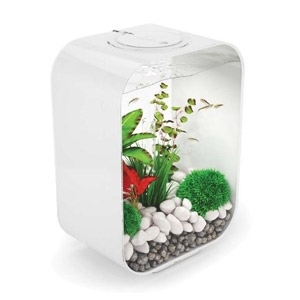 With it’s deep bottom dome the WonderBubble lends itself to being a perfect small aquarium. 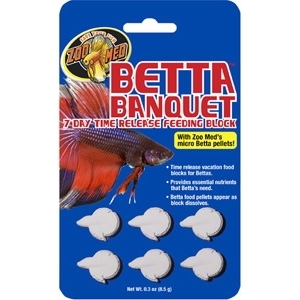 Zoo Med's Betta Banquet Food Blocks are made with whole Micro Betta Food Pellets and Krill to provide essential nutrients that Bettas need. 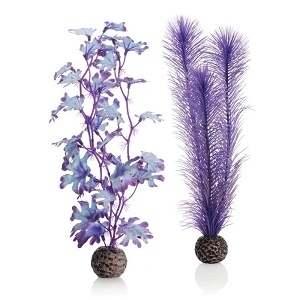 Betta Care Betta plants bring natural beauty to small aquatic environments with the easy care and low maintenance of artificial plants The naturally vibrant colors of the silk foliage are securely connected to the driftwood-look weighted base that keeps the plant on the bottom of the bowl. 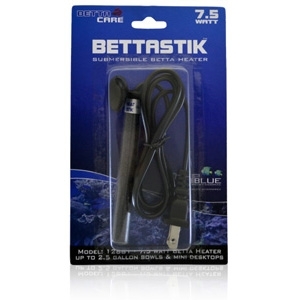 Deep Blue Professional BettaStik Mini Submersible Heater 7.5W The perfect mini heater for betta bowls. 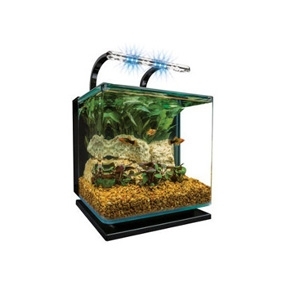 Fully submersible, place anywhere in your aquarium.